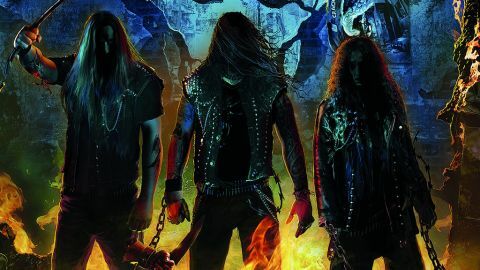 The big Teutonic 4 of thrash might not have the sales of their US counterparts, but they can stand toe to toe when it comes to savagery and riffs. More than three decades in and Destruction are still flying the banner for ferocious German metal. Originally a crowdfunded digital release, now given a physical version, Thrash Anthems sees them revisiting some of their classic material from their early years but adding the sheen of modern production. The likes of Front Beast, Black Mass and Antichrist have been updated sonically, but the aggression and all-round 80s vibe remains. Whether rerecording classics is a good thing or not depends on your preference for production styles but Destruction have kept true to the original feel of the songs and if you like modern crunch then it works well.